S/Sgt. James R. Thomason, son of Mrs. Jim Thomason, graduated from Frederick High School and attended Frederick Jr. College and Bethany College. 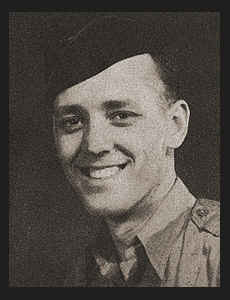 Entered Army in March, 1941, trained in Camp Wolters, Texas, Camp Claiborne, La., Camp Millard, Ohio, Camp Atterbury, La. ; went overseas in Dec., 1943, served in England, France, Belgium, Holland, Luxembourg and Germany; was discharged in Sept., 1945. Awarded Good Conduct medal, ETO Ribbon with five Battle Stars, Am. Defense Ribbon.